Native Twitter, Friendfeed, Facebook support. Share what you are listening to with your friends instantly! Listening History. You are looking for the song you’ve just listened? You can see what you have listened recently, find them on Youtube or Google with one click! Auto Level Control (Auto Volume Control or Auto Gain Control). RADYO will fix the volume level of the station you are listening to immediately. Multi-format support. RADYO supports nearly all popular streaming servers. You can listen to streams of Flash Media Servers, Windows Media Servers, Apple Live Http Streaming Servers, ShoutCAST, IceCAST and direct file. Local file import. You can also open playlist files downloaded over internet. Just drag them on to RADYO icon or double click and open them with RADYO! You may also use the application menu to import/open these files through the application easily. radyo:// url protocol. RADYO supports it’s own url mechanism that lets listeners easily share stations between them. This feature also lets website owners to embed an RADYO link to their website easily and let the followers listen to their station with one click. RADYO will manage any address changes. No need to worry about streaming address changes anymore! Preloaded with stations of many countries around the world. Embedded contact form for easy communication and help. Automatic preloaded station-list version checking and updating service. Multi-Language support! RADYO immediately localizes itself according to the current country and language. Growl support. You may easily be notified about the information of the artist and song that’s currently being played. 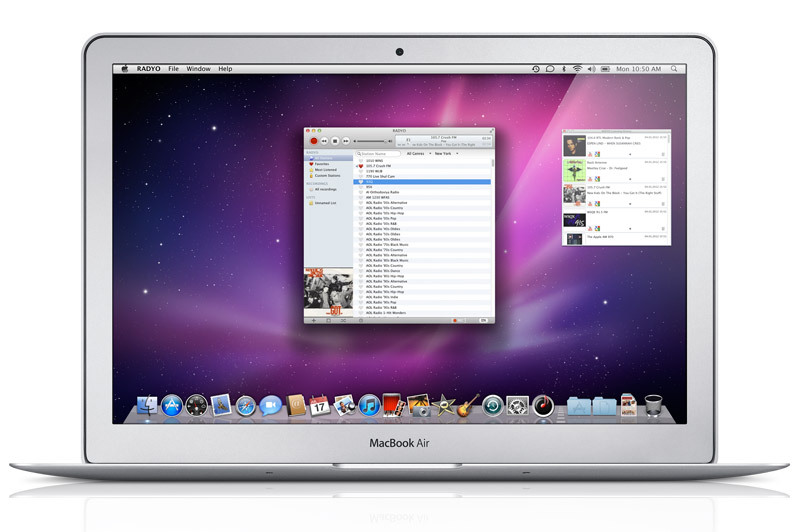 Recording radio stations is forbidden by Apple; so, eventhough RADYO has been created to be able to record radio stations, this feature can not be used on Mac App Store version.